You can meet-and-greet with the Grinch in his Santa suit (I recommend doing this first thing in the morning or during the tree lighting for the shortest lines). There are also meet-and-greets with Max, who is a real life dog! You can also head over to the post office, where you can meet Cindy-Lou Who and write a letter to the Grinch. Each letter you write will help support tutoring to homeless youth. There’s also many other fun eccentric characters to meet throughout Whoville, I always saw so many popping up throughout the day! Upon entering Whoville, you can find some amazingly delicious themed treats, such as Grinch donuts, cookies, and my daughter’s favorite, green cotton candy! There are a few different shows throughout the day in Whoville. What I love about them is that they aren’t too long (just the right show length when you’re with kids). And there’s three different ones throughout the day to enjoy, to keep you coming back to Whoville during your Universal Studios Hollywood trip! There is a song and dance number with Martha-May Who-vier and the Who Dolls, with Mr. Grinch making an appearance too! My favorite where the Who-liday Singers, an amazing Whoville acapella group! Lastly, at night you can see the tree lighting of the 60-foot tall Whoville tree along with snowfall! 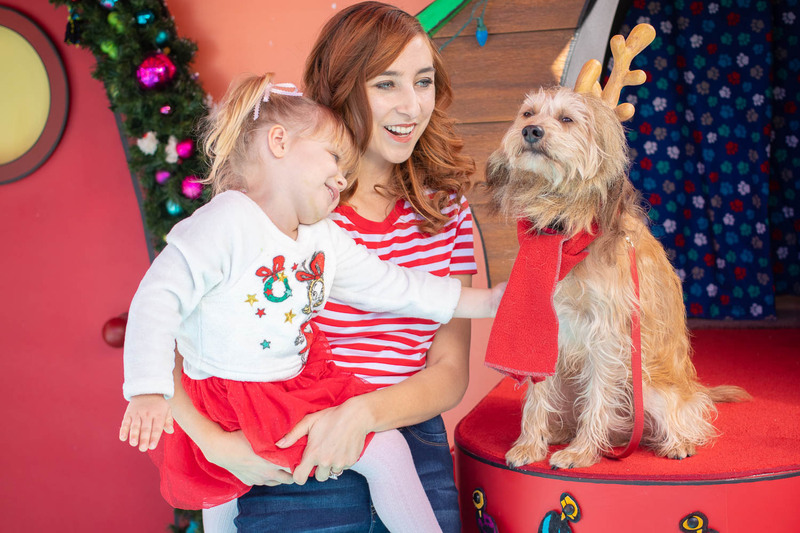 Grinchmas is more than worth a trip to Universal Studios Hollywood this holiday season! I can’t wait to go back another time before it ends! It runs Dec 8 & 9th, and daily from Dec 14-30th. You can find tickets to Universal Studios Hollywood here.